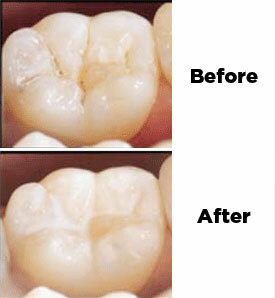 As a dentist, Dr. Carollo’s #1 job is to help you keep your natural teeth for your entire life. This starts with educating you on the importance of a healthy smile, and it continues by utilizing a wide range of tools to prevent decay. 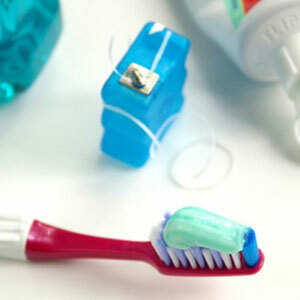 For many kids, this means brushing and flossing regularly along with routine check-ups and sealants. For adults, periodontal screenings become an important part of maintaining a healthy mouth. 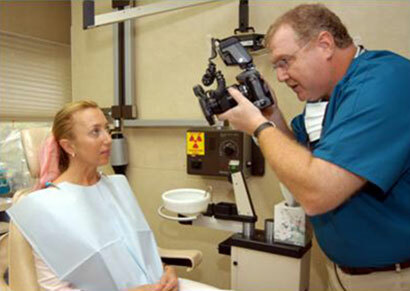 In all cases, we want you to look forward to coming to see Dr. Carollo every six months. Instead of taking your children all over town to visit specialists, why not simplify you and your family’s dental care by visiting Dr. Carollo and his team? We treat children, teenagers, adults, and everyone in between with comprehensive treatment that’s personalized to fit the unique needs of each patient. In fact, we even offer a special area in our office that’s just for little smiles! We’ll be sure to take a gentle approach when it comes to treating your son or daughter. 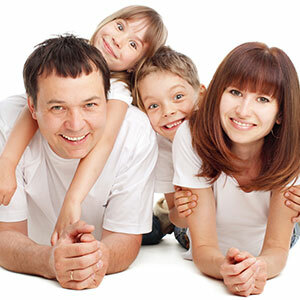 It’s our goal to foster in all patients a passion for achieving and maintaining excellent oral health. Contact our office today to schedule appointments for you and your loved ones! A warm and friendly greeting! One of our staff members will meet with you to discuss your concerns, your dental and medical history, and your goals and expectations for your oral health and smile. You will also meet with our dental hygienist, who will take a full set of digital X-rays and obtain study models of your teeth. Then, you will see Dr. Carollo, who will perform a comprehensive exam (including an oral cancer screening, bite analysis, and periodontal exam) and take digital photographs of your mouth. This will allow you to see your teeth and others view them. Once we have all the information we need, we can develop a comprehensive and personalized treatment plan that will meet your unique needs. Finally, our office administrator will go over financial arrangements and any dental insurance information you need. Contact our Florham Park, NJ office today to schedule your first visit! We look forward to meeting you. We recommend that you attend an in-depth cleaning at our Florham Park, NJ office twice a year, or once every six months. This will allow our team to thoroughly remove any plaque and tartar that’s formed over time so that we can help you prevent common oral health problems like cavities and gum disease. Dr. Carollo is dedicated to providing patients with an exceptional standard of quality, even when it comes to our routine procedures; that’s why we subject all of the tools we use to in-depth sterilization techniques so that your teeth and gums stay safe and your smile feels completely refreshed following treatment. Today, nearly 75% of American adults suffer from gum disease, which can have dangerous consequences for your teeth and overall oral health if left untreated for too long. 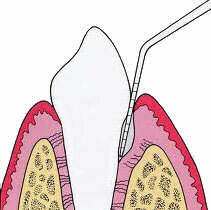 Our team strives to catch this potential problem as soon as possible with the help of a periodontal screening. During a periodontal screening, Dr. Carollo and his team will check the depths of your gum pockets and record its “score” on a detailed chart. This method of examining the health of oral tissue is quick and simple, and it’s a valuable tool that can help us keep track of any changes that occur over time. For many children, it can be difficult to thoroughly brush all of their teeth, especially those hard-to-reach back teeth that are used for chewing food. Even worse is that these teeth have grooved surfaces, which are perfect for tricky bacteria and food particles to settle in and create oral health problems over time. Thankfully, dental sealants from our New Jersey practice can offer the extra layer of protection children need. Made of clear or shaded plastic, sealants are applied carefully to affected teeth, and they can be reapplied or repaired if damage occurs. Dr. Carollo enjoys treating children and teenagers just as much as adults. Our team has worked hard to establish our office as a true family practice, which is why we’ve outfitted the practice with enjoyable amenities such as books, televisions, and video games. In addition, our pediatric dentistry services are personalized to fit the gentle needs of little smiles. We provide cleanings (with fluoride, if needed), orthodontic evaluations, and comprehensive exams that will determine if any developmental problems are occurring. Preventive recommendations like dental sealants and mouthguards are available as well, and we’ll be happy to teach your children how to properly brush and floss so that they can establish good habits as they and their smiles develop over the years.